Genius formed in 1983 is company known for producing peripheral products for PCs. They have variety of products such as speakers, scanners, tablets, and headphones. We have here for review Genius GHP-05Live headphones. GHP-05 Live is the latest Genius Hi-Fi music headphones for your DVD, TV and Hi-Fi studio. The GHP-05 Live has an embedded DRD® 3D surround sound system which not only enhances the true bass level but also creates incredible acoustic range, especially for classical or vocal music. The swivel and soft velvet ear pad makes comfort even listening for long periods of time. 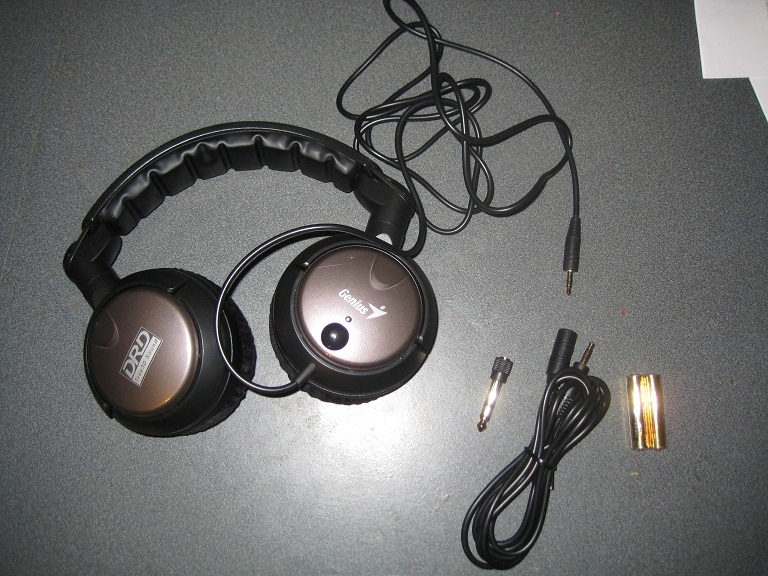 The package includes an extension cable, a 3.5mm-RCA converter and 6.3mm gold plate adaptor, and is easy to connect to any kind of audio device. No matter if you want to watch a movie or listen to music, the GHP-05 Live can bring you powerful and lively sound and make it seem more realistic.